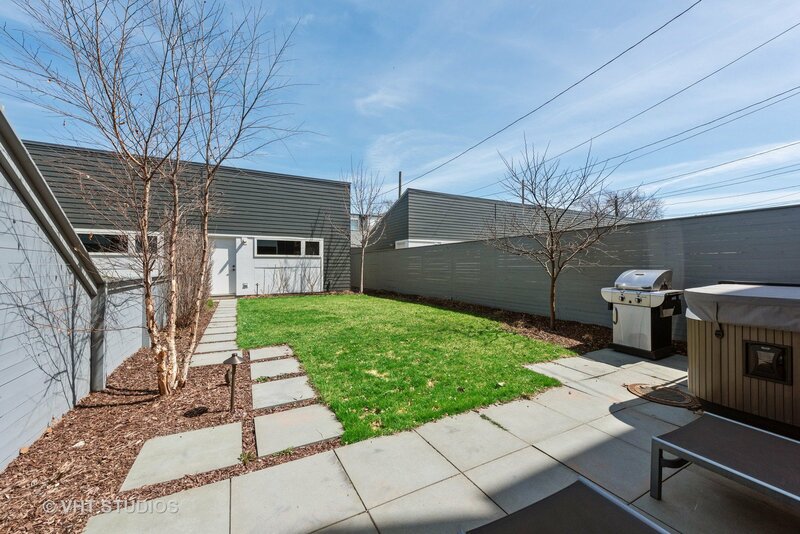 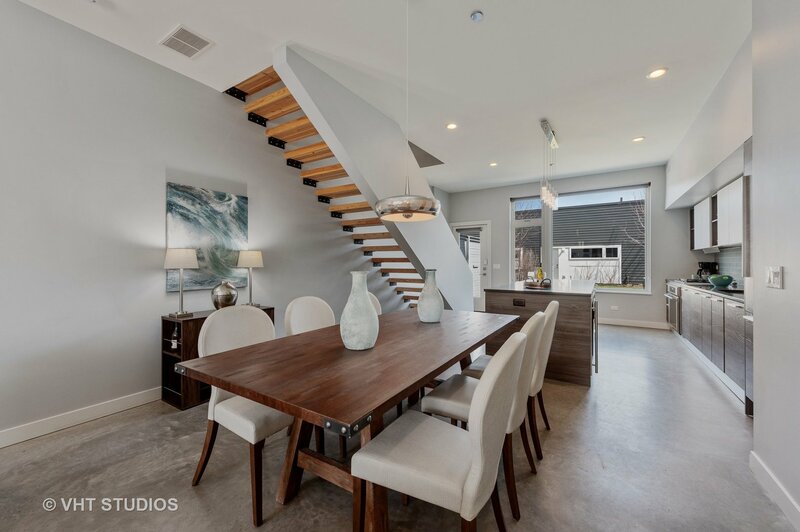 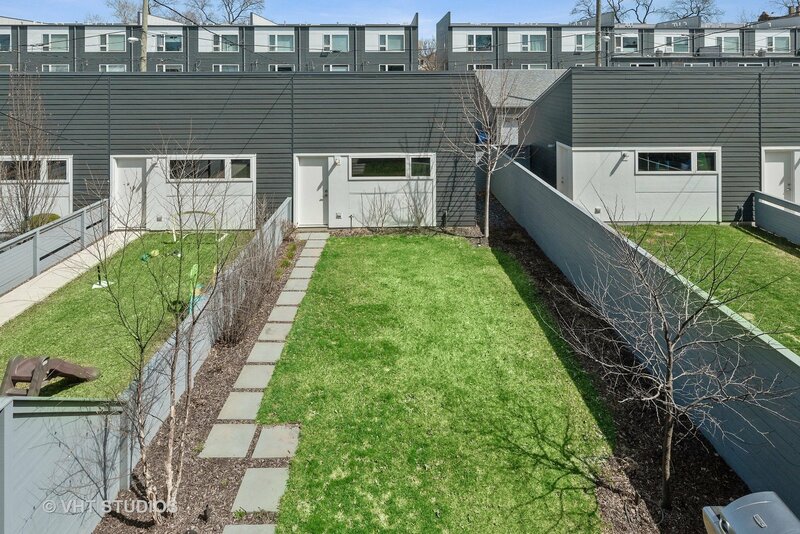 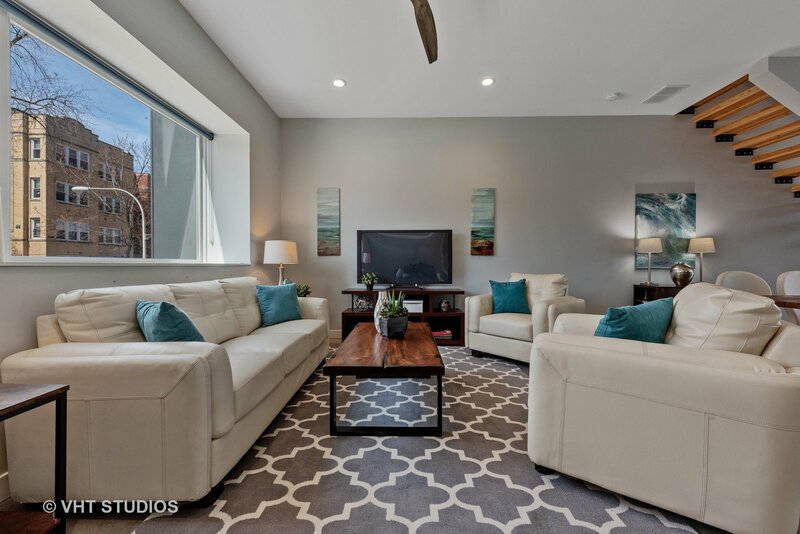 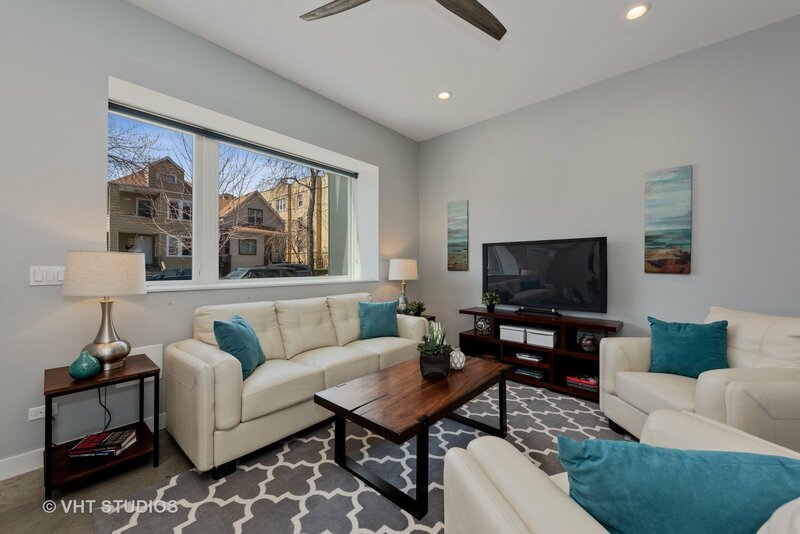 Terrific Logan Square Ranquist Row Home with remarkable 49 ft private back yard! 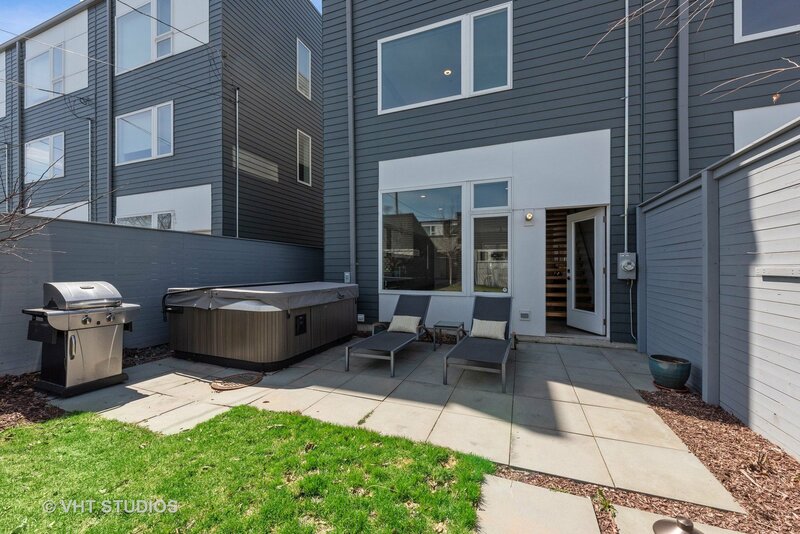 Patio, hot tub & 2 car garage included. 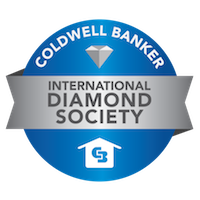 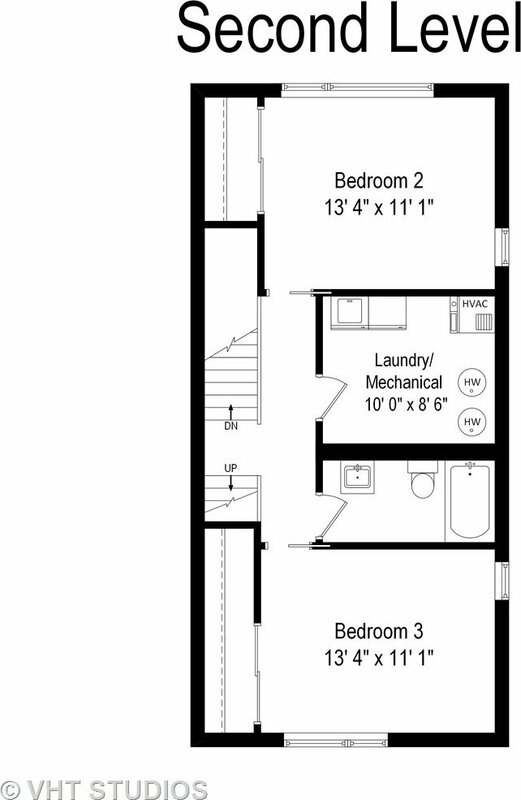 1st floor features concrete floors with radiant heat, coat closet & half bath. 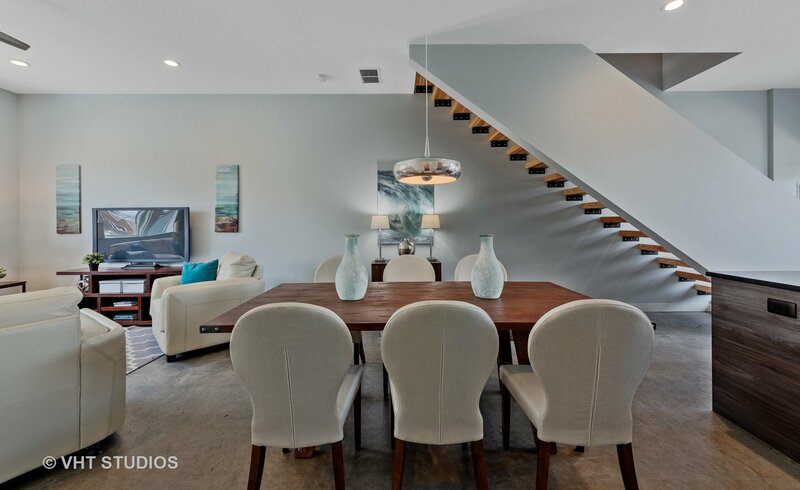 Open floor plan with dining for six. 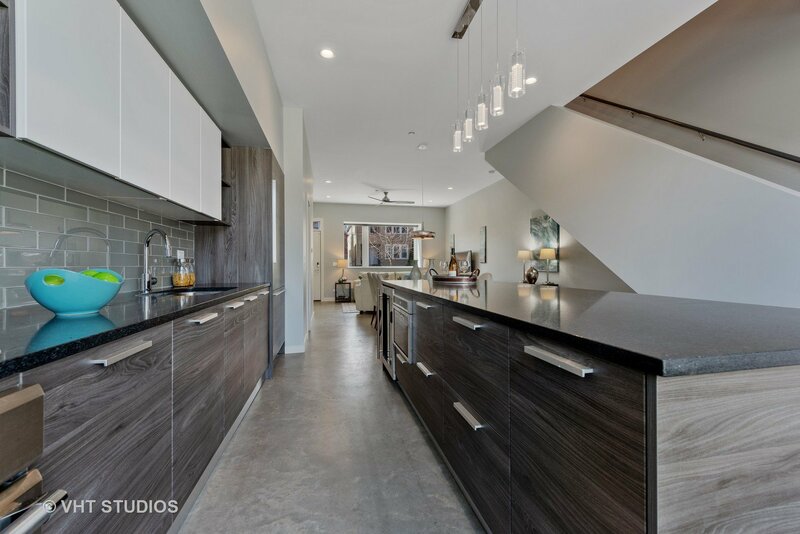 Highly upgraded kitchen features Archisesto cabinetry, large custom kitchen island w/seating for 4, built in storage & stainless ULine beverage fridge. 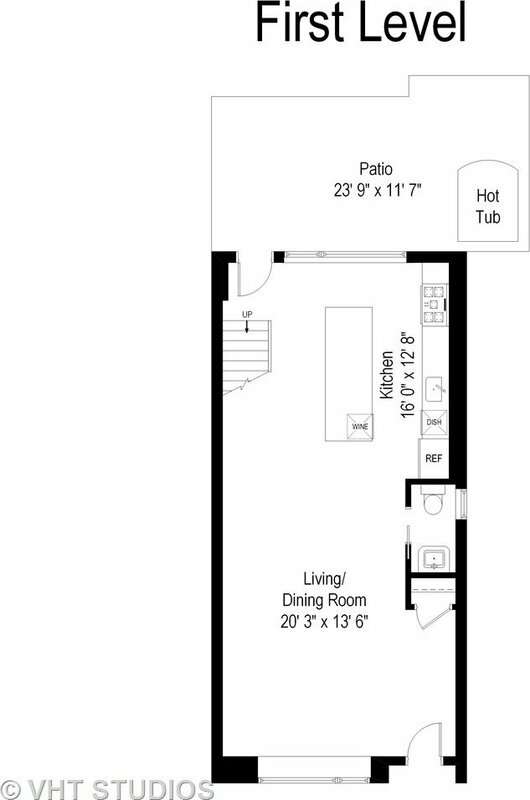 Upgraded appliances~Thermador~including refrigerator with cabinetry panel, oven/range, microwave & dishwasher. 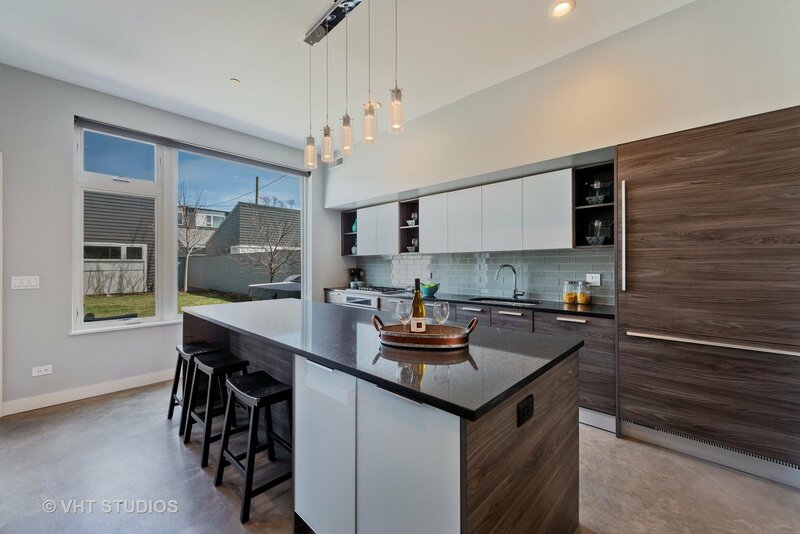 Glass tile backsplash. 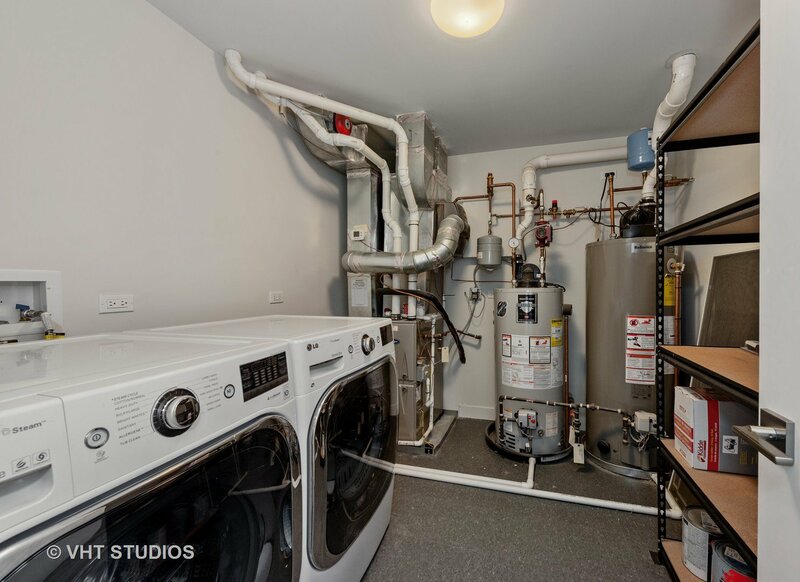 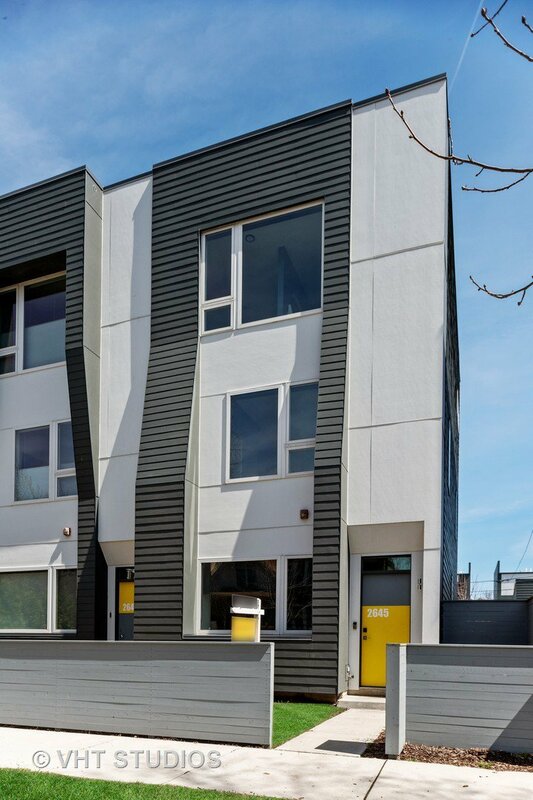 Large industrial style open riser staircase to 2nd level that has 2 spacious bedrooms & large closets, full bath & laundry room with LG side by side front load washer & dryer. 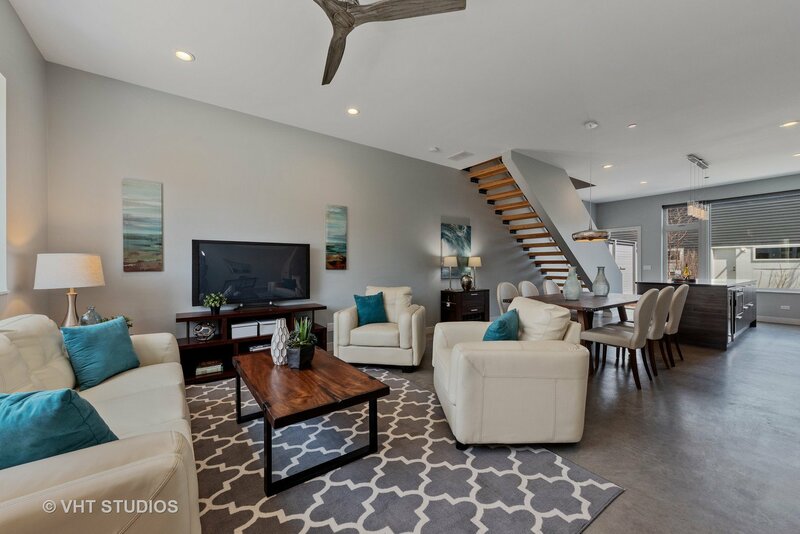 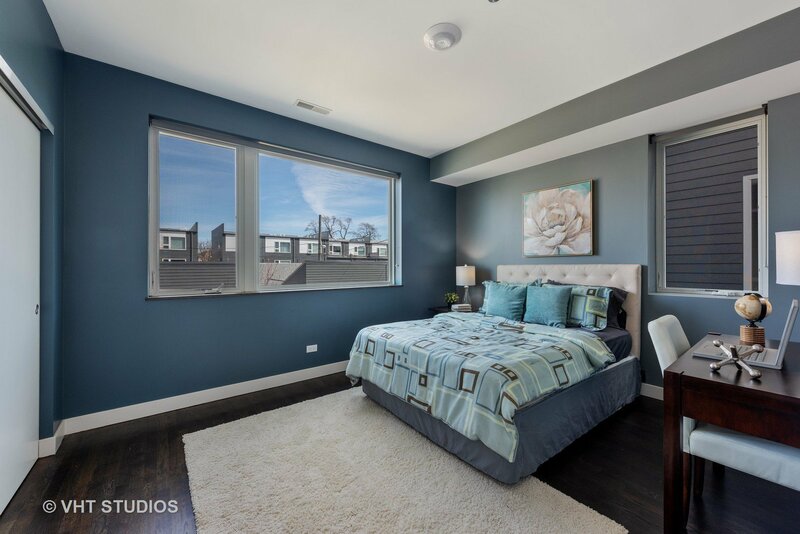 3rd floor features expansive master suite w/ open plan floor plan. 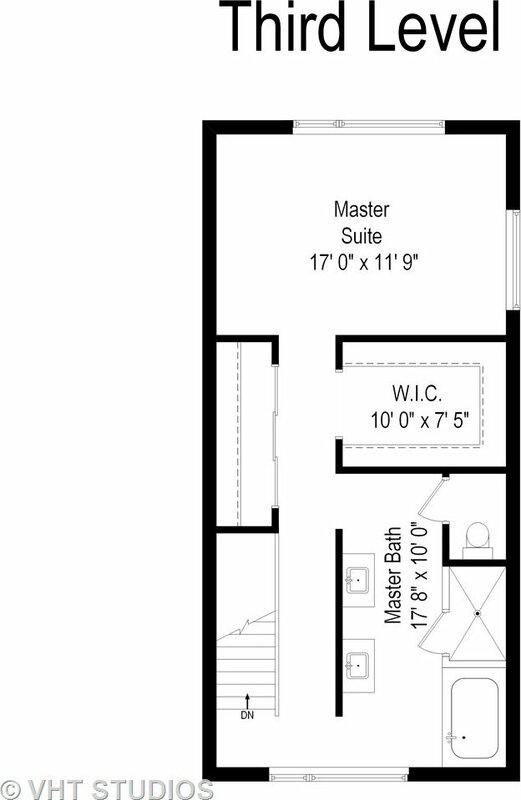 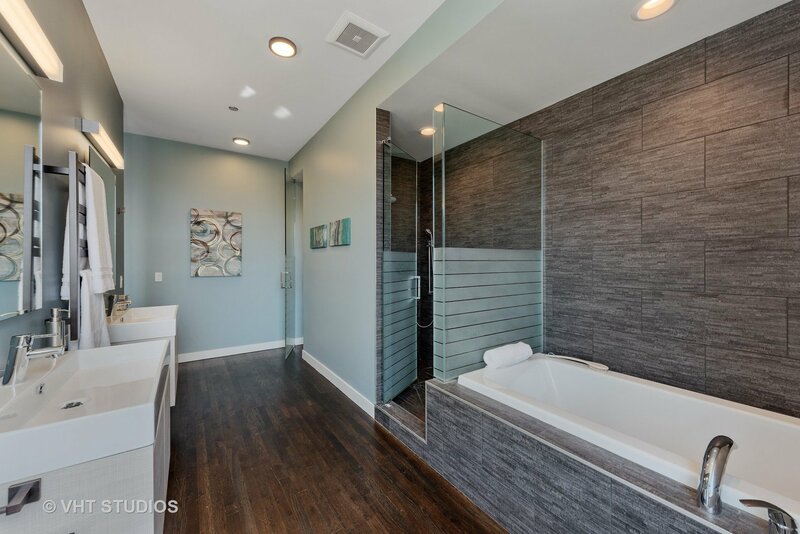 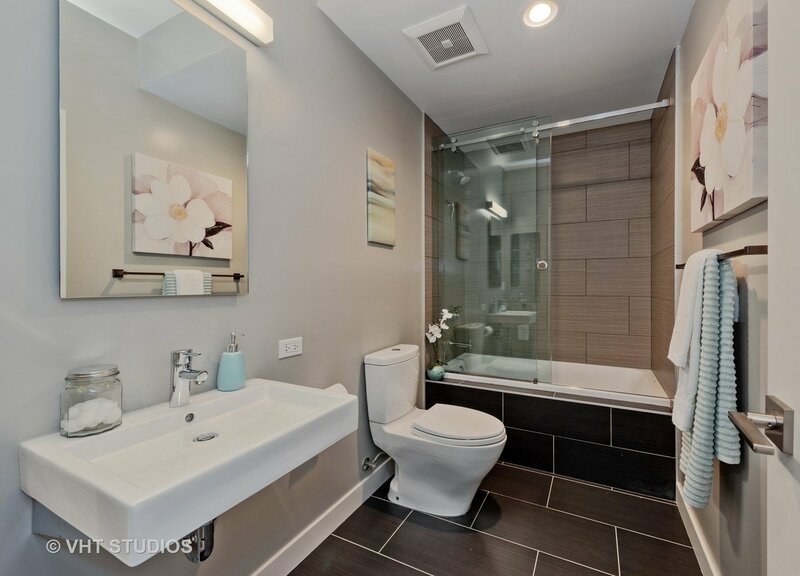 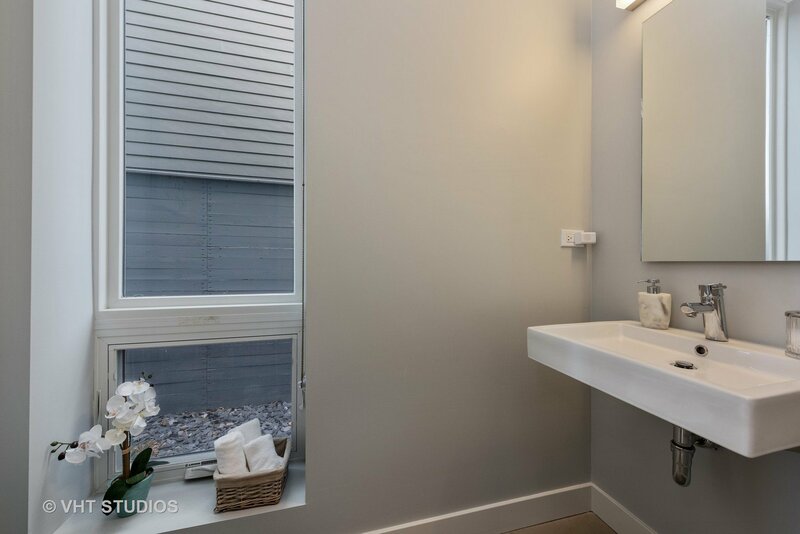 Soaking tub, separate shower, toilet closet & double sinks. 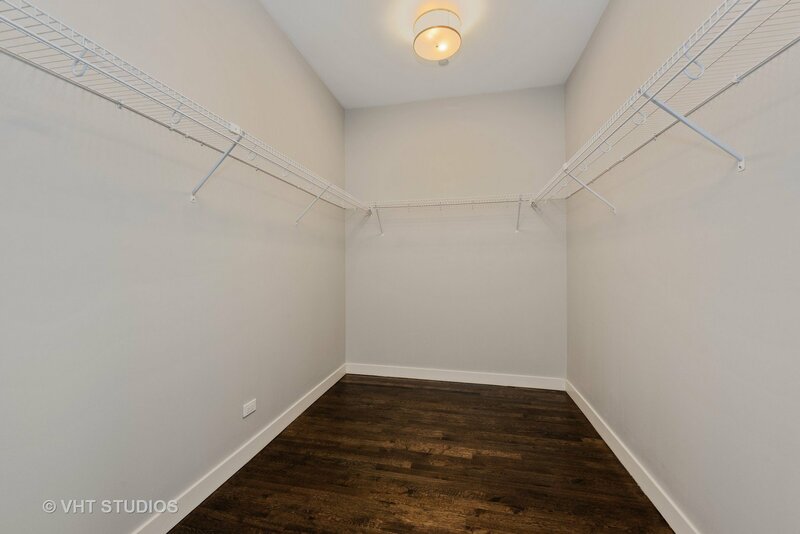 HUGE walk in closet plus additional large closet. 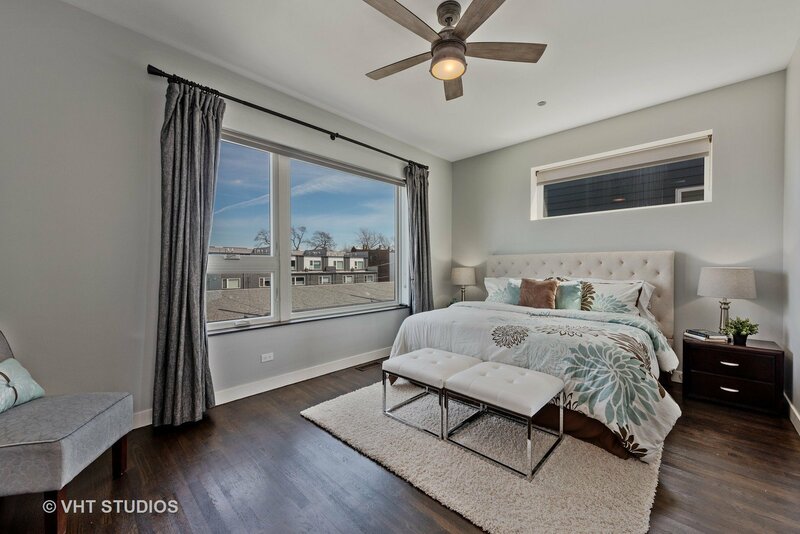 All windows have custom fitted shades. 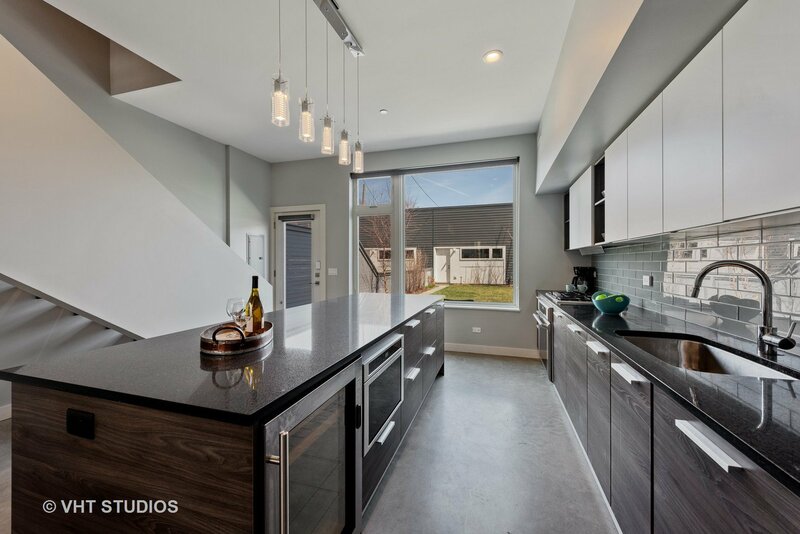 Tons of light throughout. 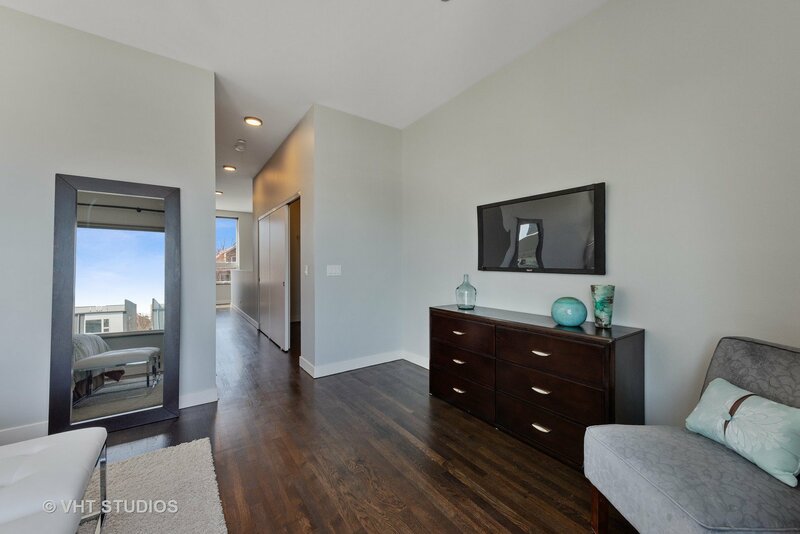 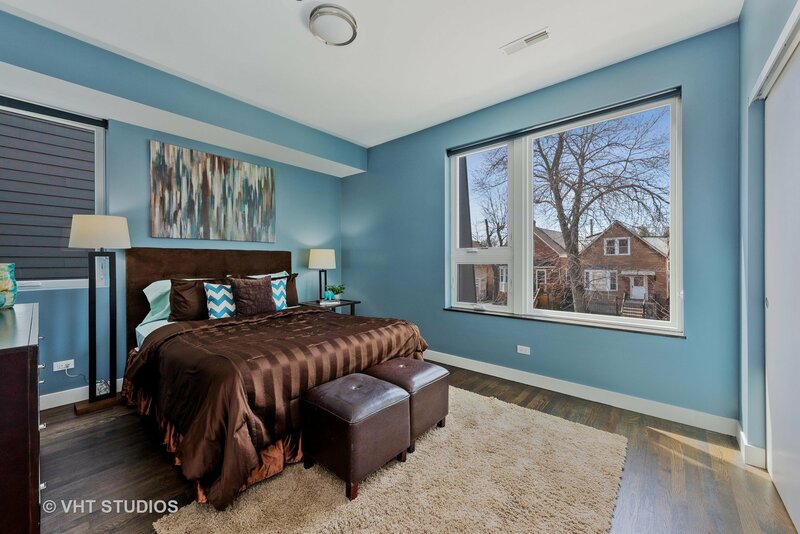 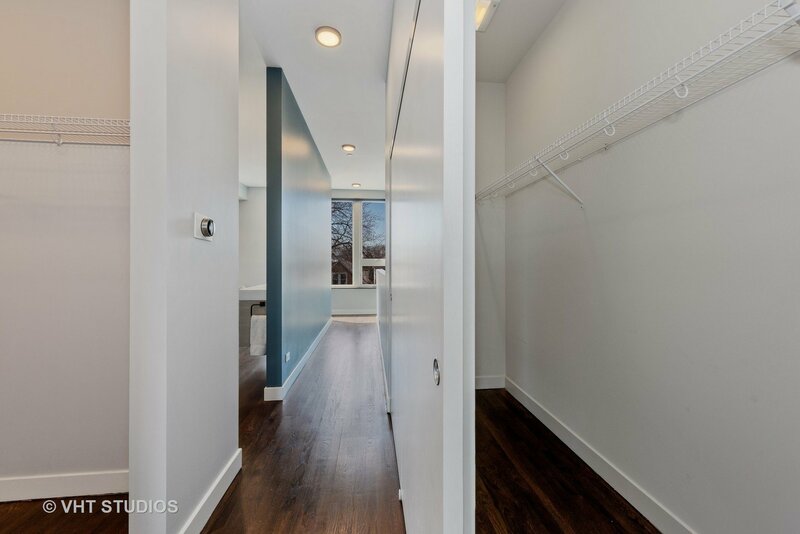 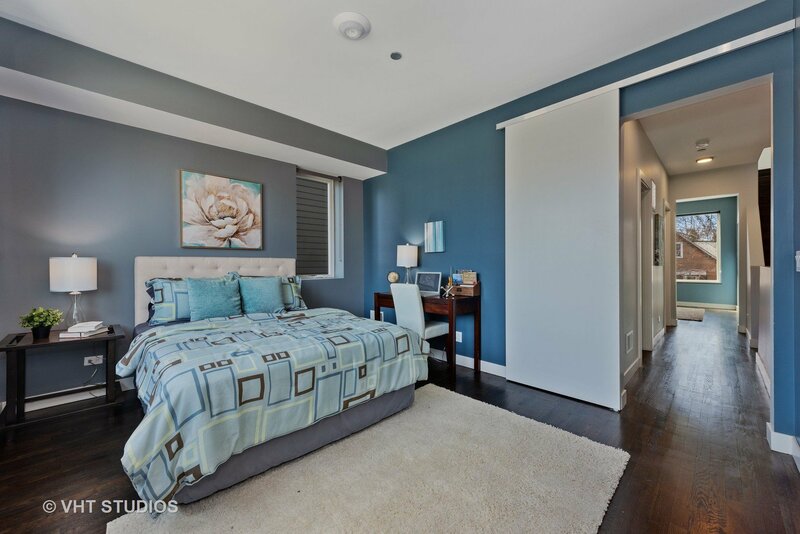 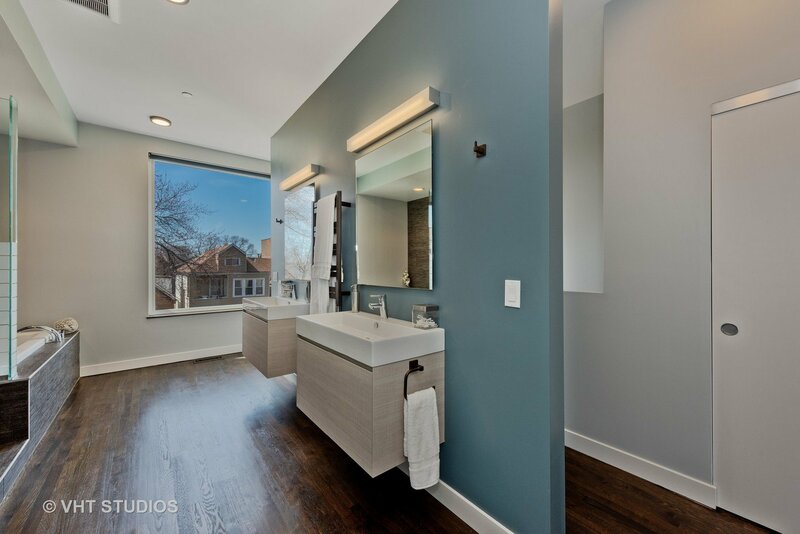 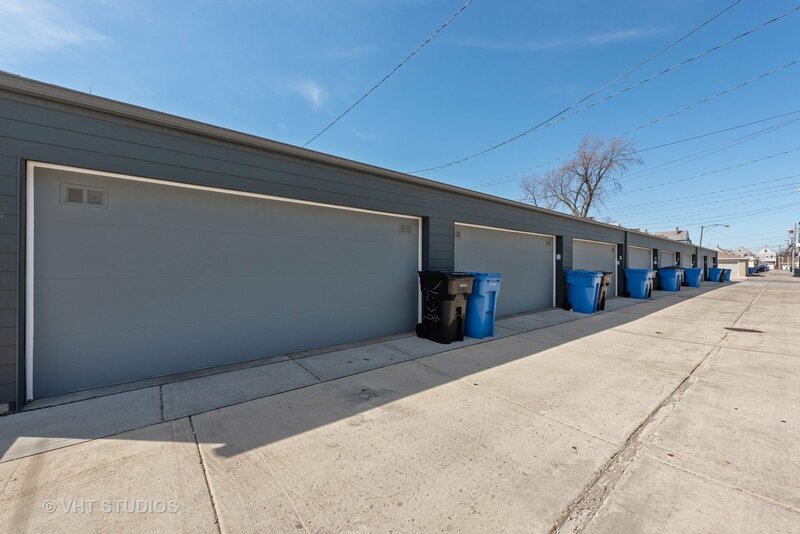 1/2 mile (15 min walk) to CTA Blue Line & Logan Sq.